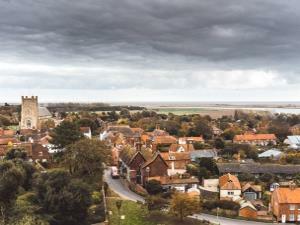 The high quality tours specialise in exploring the local tastes and heritage of Suffolk, where you will have the chance to taste local produce and visit sights and attractions that are steeped in Suffolk’s cultural heritage. This authentic local foodie and drink tour will give you a unique chance to see behind the scenes and gain access to an array of local produce by visiting growers, artisan producers and speciality retailers – all whilst enjoying a leisurely fun day out with lots to see, learn and of course taste! There is a growing interest in Suffolk as a foodie County, we believe there is no better way to explore a region than through its food. Food and drink producers and suppliers who are passionate about their vocations are eager to share their stories and wares. Suffolk Heritage Food Tours has organised a behind the scenes tour that is friendly, fun and affordable. There are currently six tour types to choose from that cost from £70 for a full day out with lunch included in the price! Bespoke private tours are also available to make the experience even more special. Taxi pick-up and drop-off available (Free at Ipswich Railway Station). Free car parking at the Suffolk Food Hall (meeting point).